How to define high sensitivity private calendars, meetings, events and appointments in Outlook? I am sharing my default calendar with my team, so that our calendars are fully visible to all members, including our boss. I would like to be able to setup personal appointments so that the meeting details are private to me and unavavilable / greyed out for others. Any pointers? Thanks for the question; i am unsure of which operating system you are running on, so appending a procedure for both Windows 7/8/10 and macOS computers. Double click the specific meeting / appointment / event / task you would like to make private / hidden. In the right hand side of the ribbon (Tags group), hit the Private icon, so others sharing their calendar won’t be able to see your meeting details. Another option to enhance your calendar privacy is using your calendar permission settings. Most probably this is already in place in your company, but anyway worth checking this out. To do so, navigate to your Calendar tab. Highlight your calendar in the left hand side. Set the permission for Default to be Free/Busy time. The process for Outlook on macOS is surprisingly similar. Can delegates see the private meetings? A colleague asked me whether a delegate could see Private meetings. The answer depends on the specific calendar permissions as setup by your IT department or whoever created the shared calendar. Hence i would assume that a delegate could potentially see your calendar meetings, private or public. How to stop Outlook calendar meeting reminders from popping up? I use my Outlook calendar to manage my business meetings and appointments, tasks and contacts; but also my personal appointments, as well as reminders to call friends on their birthday. As such i keep constantly getting reminders and notifications from Outlook on overdue appointments, meetings and tasks which is kind of overwhelming. Once i get a reminder, i typically dismiss it one by one, or dismiss them all. I guess my question is how to disable Outlook reminders so i won’t need to get rid of them manually. I am using Outlook 365 on a Windows 10 computer. Thanks for the nice question. Although you are using Windows, i have added another section that will be helpful for macOS users. From the upper menu bar, hit File. In the Reminders section, uncheck the Show reminders box as shown below. You are able to get rid of reminders for appointments as well as individual or series of meetings. This will work both for meetings scheduled by 3rd parties or yourself. In Outlook, navigate to your calendar and double check your meeting. In the Reminder combo box, select None, as shown in the screenshot below. If you would like to modify a recurring meeting, hit the Recurrence button and adjust the reminder value. Once done, hit Save and Close. 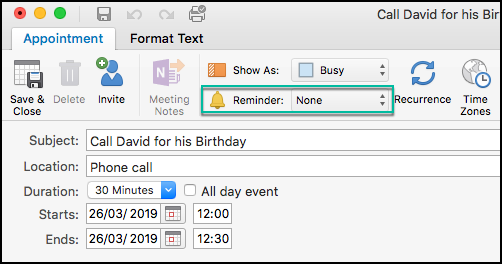 Outlook for macOS also allows you to suppress reminders for both individual or recurring appointments and meetings, or for all your calendars. If your appointment /meeting/recurrence is already set, double click on it.If the meeting doesn’t yet exist, you’ll need to first create it. Close and save your appointment. If opting out from reminders of specific event doesn’t meet your specific needs, then you can stop all Outlook notifications by proceeding as described below. On the top macOS bar hit Outlook. Then hit Turn off reminders. You can turn off notifications from shared calendar using the procedures shown above. Reminders fire to soon, what to do? Outlook allows you to set a default reminder timing for your calendar meetings and appointment only. Set the default reminder time to any time below the default 15 minutes. In case of further questions, feel free to leave us a comment. How to send recurring auto response messages in Outlook when out of office? Hello! i work as a travel agent and my availability is of utmost important to my customers. Every now and then, i am away from office due to vacations, and i would like to ensure my customers are aware of that and stuff doesn’t fall through the cracks. In the past, I used to work for a company, and i remember that there was a trick to set an out of the office auto-responder there. I now work from home and use Outlook.com and Gmail on Microsoft Outlook 2019, is there a way to setup an out of the office rule to notify others that i am away? Thanks for your good question and good luck with your new business. You can easily define auto reply texts when out of the office using Rules. In this tutorial we’ll explain how to do that in Windows and then in the macOS. Readers can put this in practice in order to have Outlook reply automatically in case they are away for vacation, or any other leave of absence. For completeness we have added a short section on how to use Outlook on Exchange to send OOTO replies. If you are using Gmail or Hotmail/Outlook.com on Outlook, you’ll need to use Rules to setup your autoresponder. First off, define an Outlook message template that will be sent when absent. This post has all information you need to setup your template. Next, in the Email tab, hit on the Rules button. Select Manage Rules and Alerts. The Rules Wizard will open up. Then select Apply rules on emails i receive. Specify is you would like to have this out of the office rule apply to specific emails. Hit Next if you want the rule to apply to all incoming messages. Now check the Reply using a specific template rule. In the lower pane hit the specific template link. Browse your computer for the email template you defined in the first step of this tutorial. Note: The templates are saved as oft files. Once found your template, highlight it and hit Open. Define any exceptions to your rule as needed. Note: Please remember that you’ll need to deactivate your rules when back from your vacations or leave of absence; otherwise your automatic emails will continue to be sent. Uncheck any rules that you would like to deactivate. Now hit the Automatic Replies button (note that you’ll need to be connected to Exchange to set those up). Now define your auto reply for senders inside an outside your organization. From the upper bar, navigate to Tools and ten choose Rules. The Rules dialog will open up. If you are using Gmail or Outlook.com/Hotmail, highlight IMAP in your left hand side. Hit on the + sign at the bottom of the dialog. In the Do the Following section select Reply and then hit the Reply Text… button. Check the “Do not Apply” and “Enabled” boxes and hit OK. Once back from your vacation remember to uncheck the Enabled button to deactivate the rule. You’ll rules dialog will look as following. Every incoming email will be automatically responded by Outlook. In order to use multiple replies, all you need to do is build different rules and then assign different Outlook reply templates to each. How do i know if my auto replies were sent? Good question, you’ll see your replies in your Outlook sent items. Does it work when my PC is off? This is a very important question – the answer is that the rules you are defining in Outlook are client only, meaning that they will run only when Outlook is running. This is not the case if you are using autoreplies on Outlook on Exchange. Can i setup an Auto-Forward instead? When absent, you might choose to automatically forward your emails to other people. You can use the Rules Wizard to define a specific rule to handle that. Can i add a picture to my auto reply? On Windows, you are able to add rich text information to your replies, be it links, pictures and even animated gifs. You can also add your signature to all outgoing emails. In case of any additional questions, feel free to let us know. How to make email and meeting templates in Microsoft Outlook 2019 and 2016 for PC and MAC? Hello there, i am a travel agent, and would like to define a custom email template to answer emails that my customer send me. I also would like to speed up my appointment scheduling process and have a template i can use to quickly create appointments and meetings. If it helps, i am using Outlook 365. Thanks upfront for any help you can offer. Setting up pre-defined email messages is pretty simple. All you’ll need to do is to type and format an email message and then save it as a template for future use. Note: for simplicity, in this post, i will be using simple message and meeting template examples, however you can as well define more complex user fillable forms. Insert your signature (if needed). Now, you’ll need to save your email as an Outlook template file (with the oft extension) for further reuse. Go ahead and hit File. Now hit Save As and provide a file name; in our simple example it will be: “Speaking Application Approved”. Save the email as a template, don’t forget to set the file type to .oft as shown below. If prompted, hit Save all changes. Define your email recipients in the To and CC boxes; define a Black carbon copy (BCC) if needed. In the same fashion, you can reuse predefined formats for your meeting and appointments. Just go ahead and define your meeting stencil and save it as an .otf file; then send your request to the meeting attendees. From time to time you might need to modify your Outlook form / template. Open your form file as shown above in the Reusing templates section. Hit File, then Save As and then save your file using a different name. Couple of readers asked us in which file path Outlook typically stores all custom stencils. By default, the location is under your user account. In Windows 10 /8 or 7, it would be: C\:users\<your_user_name>\AppData\Roaming\Microsoft\Templates. You can obviously store your files in different locations in your Windows PC operating system. Tip: If you are unsure of the exact location, you can run a Windows search for .oft files. Then pick your template folder and hit Save. Your templates folder will open, note than unlike Windows, macOS stores your templates as .emltpl files. 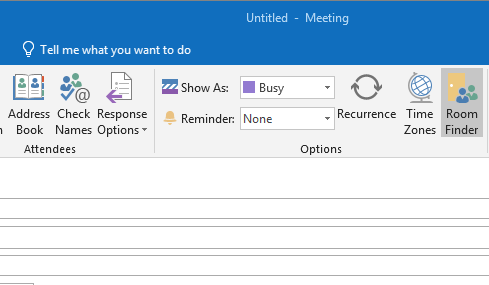 Pick your email template and hit OK.
How to schedule and send Outlook 2019 / 365 recurrent meeting, event and appointment requests? Hello! just got appointed as a project manager here in my company, so i now live in Outlook :-)… One of the first things i will need to do is to setup ongoing meeting series with many of the stakeholders of the project. Those could be either one on one, of group meetings. Would be happy to get some shortcuts on how to get going with the scheduling of those recurrences. Help is appreciated upfront. Thanks! Thanks for your question and good luck in your new job. Managing recurrent appointments in Outlook could be a daunting task, let’s try to break it down with some best practices to get things going. My first recommendation would be to setup a dedicated calendar for your project, so that you can have all meetings related to the project organized in a single place. Here’s a tutorial on adding new calendars to Outlook for both Windows and MAC. After setting up your calendar, you are able to start scheduling your meeting series. Login to Outlook and open your calendar. In the home tab, hit your Work Week view, this will provide a more granular and easier to use view of your calendar. Now select the day and time of your meeting. Right click and hit New recurring Meeting (or appointment). If needed, adjust your meeting/appointment date and time. Define your meeting recurrence (Daily/Weekly and so forth). Next, hit the To button to select the recipients email addresses from your contact list or alternatively input their addresses manually. Define a descriptive subject for your meeting. Next, define the meeting location and your contact details. This could be a meeting room or you might be using Skype, Zoom for Outlook or other online communication means. Last, in your meeting invitation body, expand on the meeting series targets, KPIs and so forth. Remember to define a clear agneda for your meeting as well as clear and measurable goals. When done, hit the Send button. Open Outlook 365 / 2019 for MAC. In the calendar view, hover to the required meeting/appointment date and time. The Organizer Meeting dialog will open up. Hit the To button to define your meeting participants. Then define the subject, location and meeting duration. On the upper menu, hit the Recurrence button. Define the meeting / appointment settings as needed. In the meeting invitation body, provide more information as needed. When done hit the Send button. You could potentially create a meeting or events series, by duplicating a previous series and adjusting the meeting subjects, participants and location. Here’s a tutorial that will help you achieve that. Questions? Feel free to use the comments below to let us know. How do i stop Outlook 2016, 2019 / 365 marking my emails as read? I am using Outlook 365. I have noticed that after i click on a specific email entry in the Outlook Mail tab and open it for reading, Outlook naturally mark it as read. What’s annoying is that i have noticed that items that i view in the Reading Pane are shown as read as well… This makes it difficult for me to follow up on my email and take action. Now the question is the following: is there a way to keep my messages marked as unread in Outlook unless i explicitly set them as read (by making a right click and selecting Mark as Read). Thanks in advance for your tips. Then hit the Reading Panes button. In the opened dialog , go ahead and uncheck the first box as shown below. Open Microsoft Outlook for MAC. From the top menu, select Outlook. Now hit Preferences and select Reading. Hit OK and that’s pretty much it. Kindly leave us a comment in case of any questions. How to add Google email to Outlook 2016 & 2019 on MAC OS? I found online several guides that explain how to setup GMail into Microsoft Outlook on Windows 7 and 10. None of them were targeted at MAC. I just bought a Macbook air with the High Sierra operating system installed, and need some configuration help for GMail for Outlook. Specifically i am looking for the pop or IMAP settings that I’ll need to use in order to connect to the GMail account from the MAC. Thanks for the question. As many things in Apple land, setting up GMail is relatively a breeze. Read on for the complete details, details for MAC OSX versions prior to High Sierra are similar. The procedure is equally valid for Office 365, as well as the standard Office 2016 and 2019 packages. Note: If this is the first time you are setting up email in your MAC, you’ll initially be prompted to select an email provider, be it Exchange, ICloud, Yahoo or GMail. After making your selection skip to step 5 below. From your header, go ahead and hit on the Outlook menu item. Under Personal Settings select Accounts. (Alternatively hit Tools and then Accounts). Hit the + button in the bottom-left side of the dialog and select New Account or if prompted, hit the Add email account button. Enter your GMail address. If there is no matching account, you’ll be prompted and asked to manually pick the email provider. Enter your Google password and hit Next. Hit the Forgot password in order to recover it. Now, hit the Sign in to Google button. Your browser will open and the following screen will appear. Hit Allow to access and modify your Google information, manage your Drive files, contacts and calendar. In the Launch Application dialog, hit Open Link. GMail will get automatically configured in Outlook. Depending of your internet connection and mailbox size, the process will take up to 5 minutes to complete. Your GMail inbox will be setup in Outlook and visible in the left hand pane. Your configuration settings are available under Tools >> Accounts. Once you added Outlook you could make some basic configurations to personalize your account. One of the first things i do when setting up an Outlook account is to personalize my outgoing email signature. Here’s a detailed walk through with the steps. 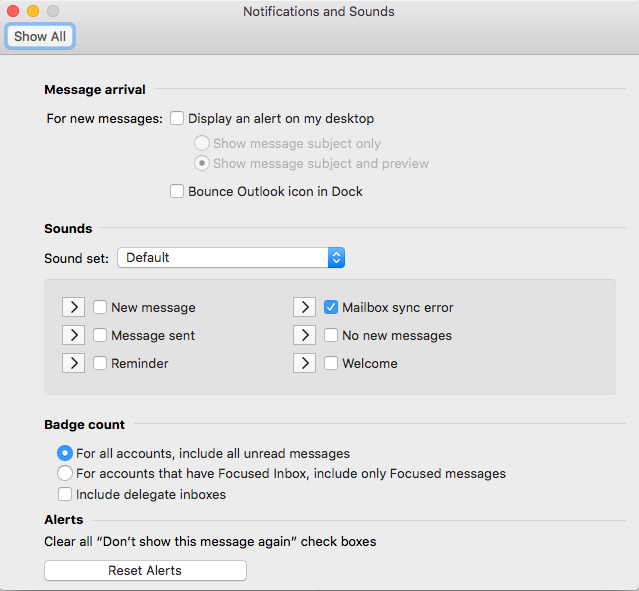 Annoyed from incoming email notifications, here’s a guide on how to disable desktop alerts on Windows and MAC. Outlook safe mode and other solutions to fix Outlook startup issues. Here’s an issue i just encountered: After launching Microsoft Outlook 365 to access my email i get stuck.. the login window comes up and stays for a while and then an error message stating that “the Outlook Window can’t open” comes up. I am using a Windows PC if that’s helpful for your troubleshooting this. I wonder my the software doesn’t open.. If it helps, a friend mentioned i should be using a specific command to launch a clean Outlook install so the installation can be repaired.. Any pointers on how to recover my Outlook access are appreciated up-front. First and foremost, i would assume that you are using Outlook 2019, although fixing this issue for earlier versions is not majorly different. As you mentioned that the Outlook login dialog came up and stayed for a while, we’ll start out troubleshooting by looking into into any Outlook COM add-ins that are installed in your system and for some reason are not firing correctlym causing Outlook to hang up when starting up. These add-ins extend the functionality of Outlook for example to allow you to interact with PDF files, integrate with OneNote, work with SharePoint, launch a Skype meeting, etc’. In order to troubleshoot this we need to be able to launch Outlook 2016 without the add-ins firing up. That is accomplished with the so-called Outlook Safe mode. We first want to safe launch Outlook using the Run application. Assuming you are on Windows 10, hit on the Search Windows magnifying glass and type Run (or Start and the Run in Windows 7). Then, go ahead and type Outlook /safe and hit OK. The Outlook login window will come up. Now, you’ll need to go ahead and select a profile for Outlook. Go ahead and select the default one, then hit OK.
Now Outlook will come up in Safe Mode. Next is to disable your Add-Ins (see instructions in the next section) and restart Outlook. Note: How do we know that Outlook started in Safe Mode? That’s written in the upper side of your screen and visible in Mail, Calendar, People, Tasks panes. Note: You can turn off the safe mode by simply closing Outlook and opening again by hitting the Outlook icon on desktop, task bar or program list. Once in Outlook, go ahead and hit the File menu (top-left in the main menu bar). The Outlook Options dialog opens up. Then in the bottom of the page, in the Manage combo box, select COM Add-ins and hit Go. Go ahead and uncheck all entries in the Add-Ins list. Once done hit on OK.
Now restart Outlook (in normal mode) by clicking the Outlook icon in your desktop or Start menu. If Outlook starts normally, enable additional Add-Ins from the list and re-launch Outlook to verify it comes up. If this didn’t help, proceed to the next section. In case that you have customized your Outlook navigation pane, chances are that Outlook might encounter an issue opening the default Outlook window View. On Windows 10, hit on the Search Windows magnifying glass and type Run (or Start and the Run in Windows 7). Then, go ahead and type Outlook /resetnavpane, then hit OK. If this didn’t help, you might need to create a different Outlook profile, we’ll cover this in one of our upcoming guides. Kindly leave us a comment in case of questions. How to insert or change an Outlook 365 / 2019 emails signature? Hello folks. A customer of mine sent me a note that had a quite fancy signature in the bottom, complete with his details, address, contact details. Wanted to ask you how can i insert a signature of my own into my Outlook email. Note that i use multiple email accounts concurrently – Gmail for business usage and Outlook.com for personal; so i would like to have couple of signatures defined. Is that possible? If so, how? Hey – thanks for the question. Creating (or editing) custom signatures for your outgoing email messages is pretty simple with Outlook. As i am now setting up my Outlook 2019 account, i would like to explain the process using that version. The process is almost identical for other Outlook versions eg- 365/2016/2013. First off, open Outlook and select the File menu. Go ahead and select Mail. At the right hand side of the dialog hit the Signatures button. Customize your text as required. Note that you are able to easily add links, pictures and a business card to your signature. You could even make a nice handwritten signature and attach it to outgoing email. Use the E-mail account drop down to associate a default signatures to different email accounts (Gmail / Yahoo/ Exchange / Outlook) as needed. Specify whether your settings should be used for new email/ when replying or in both cases. Open your Outlook client and hit Outlook. Then, under Email, hit Signatures. Hit the + sign to add a signature. Edit the text as needed. Use the Account drop down to associate the signature with a specific email accounts (Gmail/Outlook/Yahoo/Work Exchange). Specify whether it should be used for new email/ when replying or in both cases. Go ahead and add additional signatures as applicable. How to change your Outlook signature? 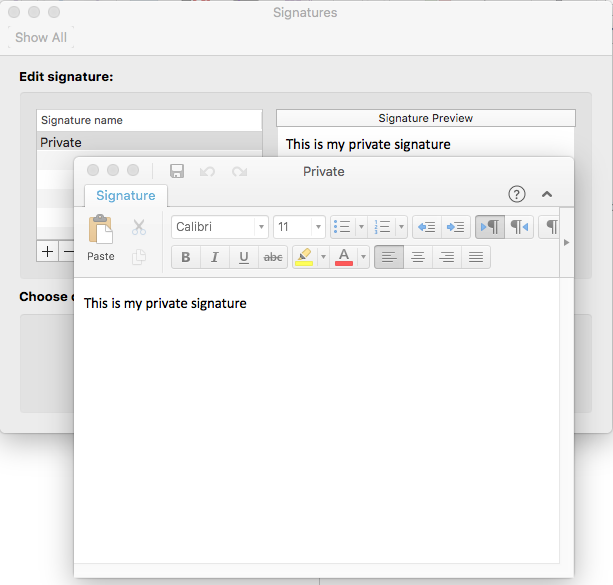 Depending on whether you use Windows or MAC, Proceed to the Signatures dialog as shown above. Next, highlight the entry you would like to go ahead and modify. Once done, hit OK and close the open dialogs. If you are on Windows, go ahead and modify the text as required. If you are on MAC OS X, hit Edit and modify your signature text; then save your changes by hitting the Disk icon. Note: This might be a great opportunity to update your business card file (*.VCF file) and attach it to your new signature. You can add a personal touch to the signature by inserting picture (bmp, jpeg, png), animations (gif) and hyperlinks. When editing your signature in both Windows and MAC versions of Outlook, you’ll find both the Insert Picture and Insert Hyperlink buttons that allow you to accomplish exactly that. Open the Signatures dialog as shown above. Browse to your picture location in your PC. Select the picture file and hit OK. Note: Animated files (in gif or swf formats) can also be added, however chances are that policies of different email providers might quarantine messages containing animations or delete the animated files from the email before delivering to its recipients. We don’t recommend to auto generate signature using services found on the web. We believe that using this tutorial you can create great looking and professional signatures for your email. Inserting an hyperlink is somewhat similar, just ensure that the url is correctly typed before adding it to the signature text. That’s it for today, feel free to leave as a comment in case of questions. How to cancel Outlook new incoming message notifications? I am setting up my new Outlook installation, and started to get emails from different people. One thing i notice is that i started also to receive those small black alerts that keep popping up on my Windows 10 desktop. The alerts also play an annoying beep sound. I have also noticed that small envelope popping up in the right side of the task bar whenever unread email is available for me to start reading. So i guess my question to you guys is whether there a way for me to hide new email notifications and sounds; as my incoming notification settings on GMail doesn’t seem to apply to Microsoft Outlook. Thanks so much for your question. Actually this one is kind of timely, as i am coincidentally setting up my new Outlook 2019 install. I also feel that new message alerts can be a productivity-killer as those keep popping up and get you out of your flow. So, with the aim of maintaining focus and be more productive, i usually go ahead and modify the default Outlook settings, and get rid of incoming message pop up alerts. Actually, this is probably the first thing i do immediately after setting up my Outlook.com and Yahoo email accounts on a fresh Outlook install. In this post i would like to go ahead and explain the configuration of the new email alert settings using an Office 2019 install, both for Windows 10 and MAC OSX. That said, the process outlined below will work on previous Microsoft Office versions. As expected, not much change here when compared to Outlook 2013/2016 which i use through the Office 365 package. Hit File and then Options , then select Mail. In the Message arrival section go ahead and uncheck the following boxes: Display a Desktop Alert and Play a Sound. Note that here you can also hide the envelope icon in your right hand side desktop bar. Note: couple of readers asked us whether it’s possible to cancel Outlook new email notifications; however keep those notifications when incoming email from certain people hit your inbox. Basically, the process outlined above will suppress notifications for all your inbox emails and can’t be overwritten. That said, you could potentially define a new Outlook rule that will route email to a specific folder that you’ll create, say Important Email, and then you could write a short VBA macro that will pop up a notification when a new message hits that folder. Hit Outlook, and then select Preferences. Then under Personal Settings, hit Notifications and Sounds. In the Message Arrival section uncheck the ” Display an Alert on my Desktop” check box. Then, under Sounds, uncheck all applicable, as shown below. Note that i also cancelled any reminder and sent messages alert sounds. Once done, close the dialog. If you are interested to revert the changes you have mode just modify the settings mentioned above. Outlook will immediately reinstate the desktop alerts for you. In case of any question, feel free to leave us a comment. Copyright 2007-2019 by EasyTweaks.com. All rights reserved. Posts in this site may contain affiliate links, For more information you might want to read our Full disclosure page.